A reselection of the original Dutch variety 'Blauwschokkers' for deeper color and more tender pods. 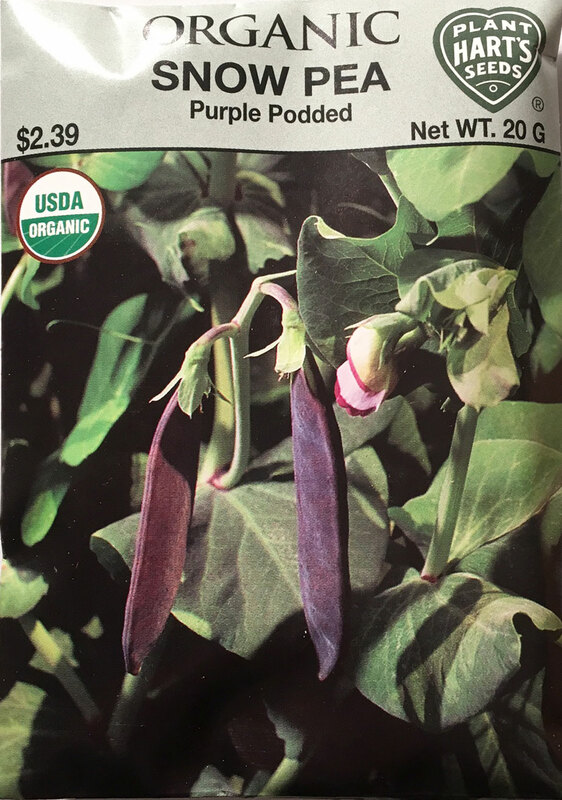 Known historically as the 'Blue Podded Soup Pea', these vigorous vines produce an abundance of pea pods that when eaten at the 2 inch size are tender and sweet, perfect for eating raw or stir-fried. If allowed to mature and fully develop the peas, they make excellent dry peas for winter soup. Although this reselection has a deeper colored pod, the mature peas are bright green. Harvest as an edible pod snow pea when the pods are very young. 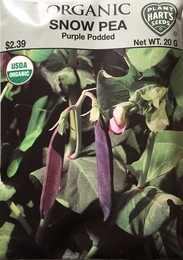 The entire plant is very ornamental; purple flowers and deep purple pods on a lush fast growing vine. Planting time - as soon as the soil can be worked in spring. Peas prefer cool weather. Thinning - when the plants are 3 inches tall, to 5-6 inches apart. Supply support for the vines now, before they begin to twine.